Fill each Champagne flute 1/4 of the way up with cranberry juice. Fill halfway up with apple cider. 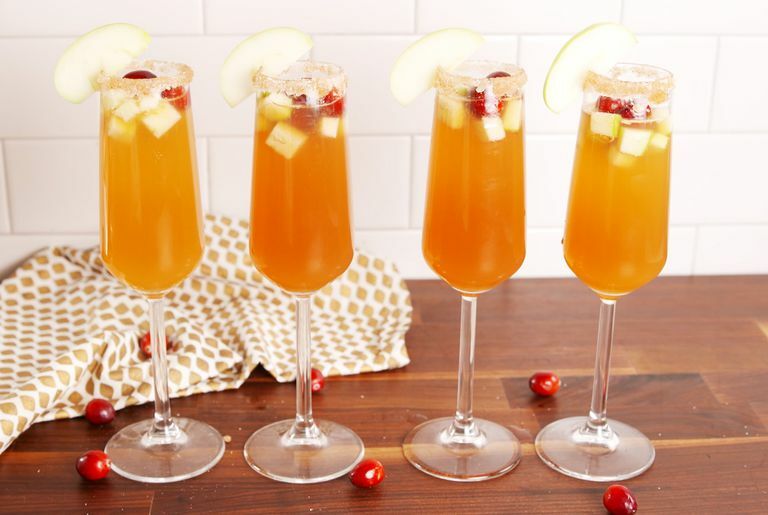 Top with Prosecco and a few cranberries and diced apple pieces.